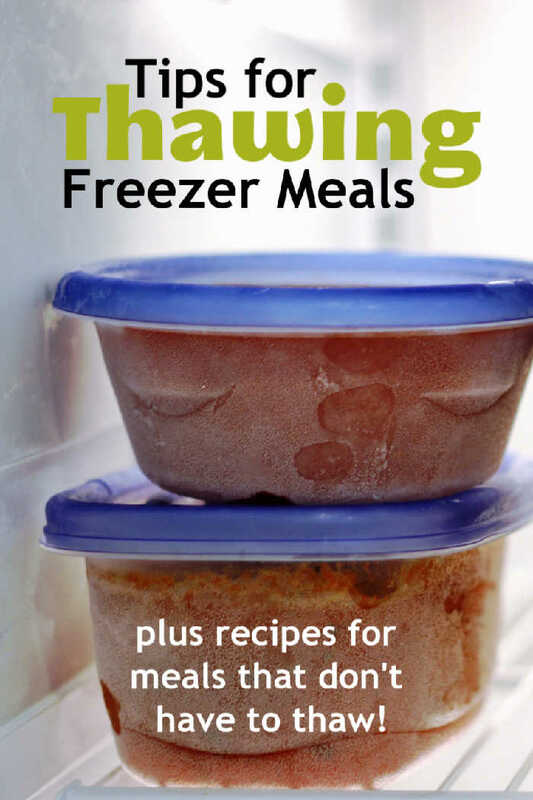 Don’t like freezer cooking because of the mysteries of thawing freezer meals? Here are a few strategies to help make sense of it all as well as some freezer meal recipes that you DON’T have to thaw. You’ve heard how freezer meals can save you time. So, you do a little cooking to freeze and have this lovely stash of goodies in the freezer. You’re so excited about all the time you’re going to save! In great anticipation of a hot dinner in minutes, you pull something from the freezer and pop it in the oven and dinner is ready! What happened here? That didn’t save you TIME at all! It just made everyone in the house hangry! Well, my friend. It’s all about the thawing. It’s true that freezer cooking can save you time, but you need to know that there are some meals that need to be thawed in advance of reheating, and luckily, some that don’t. 1. Thaw frozen foods in the refrigerator. Food thaws from the outside in, as warm temperatures defrost the outer layers. This means that the outside can heat up to unsafe temperatures well before the inside is thawed. For food safety, always thaw freezer meals and other frozen foods in the refrigerator. If you’re in a rush, you can thaw frozen foods in a COLD water bath. Do not use hot water. Change the water frequently to ensure food safety. Some foods can be reheated from frozen with great results, however others really need to be defrosted through and through. For best results, very thick casseroles, like lasagna and baked ziti, need to thaw completely. Again, in the refrigerator. You can technically bake a frozen casserole, but you risk cold spots in the middle. And much longer cooking times. 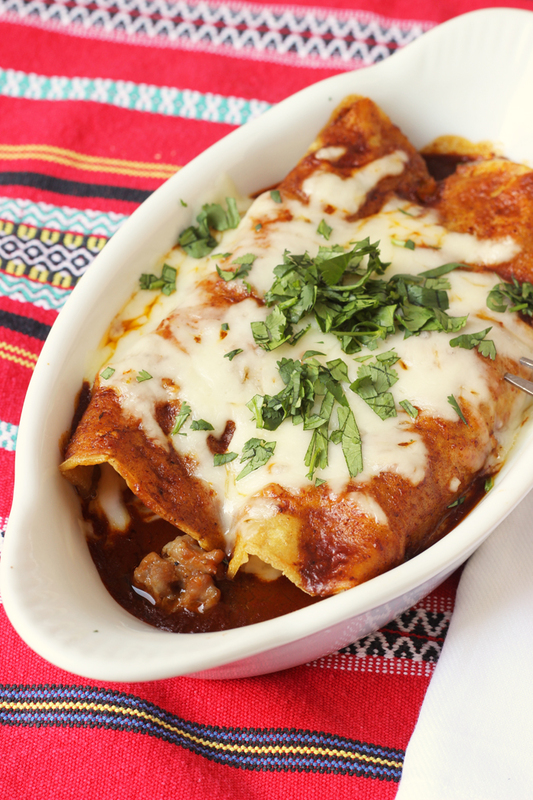 Thinner casseroles like rolled enchiladas can sometimes get by with a quick 20-minute rest at room temperature before baking, but the tortillas may dry a bit more than preferred as you wait for the filling to heat up. 3. Same goes for marinated meats. Marinated chicken and meats are best cooked completely thawed to allow the cells to reabsorb moisture before being cooked again. 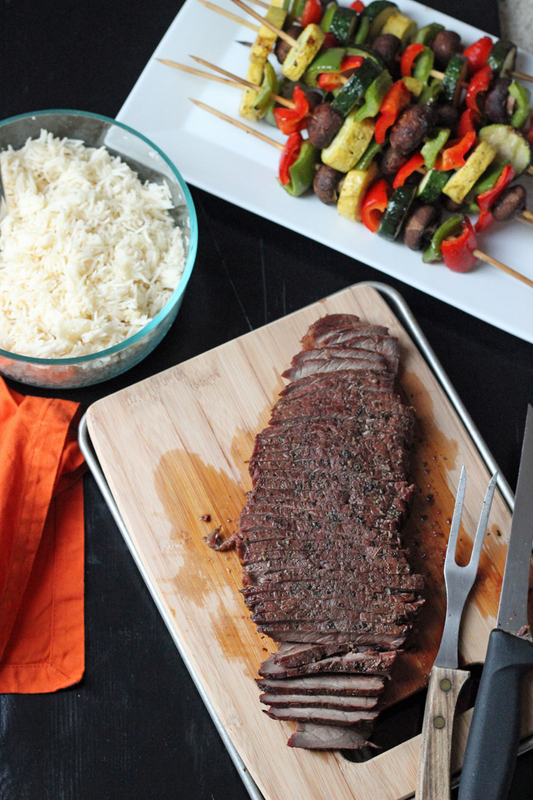 Of special note: always thaw meats on a tray so the drips don’t contaminate other items in the refrigerator. 4. Thaw several days in advance. The amount of time it takes to thaw something will depend on the temperature of your refrigerator and how often it’s opened. That means: unpredictable. Thaw items a day or two before you need them so that you can avoid finding a half-frozen meal on the day you want to cook it. 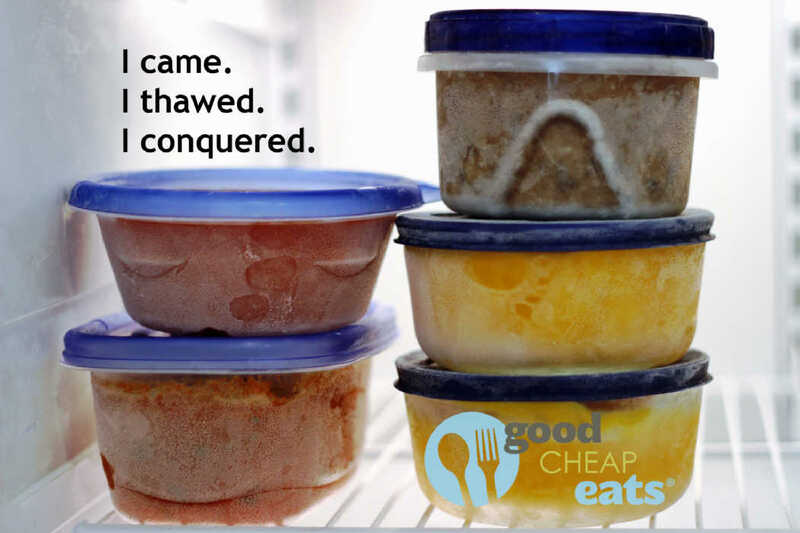 If you have several freezer meals planned during the week, pull them out three at a time. They will likely thaw at different rates and provide you with some choices when it’s time to get dinner ready. Ready to get cooking? Freezer Cooking, that is? 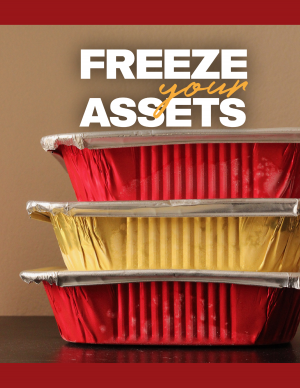 Take the Freeze Your Assets workshop. 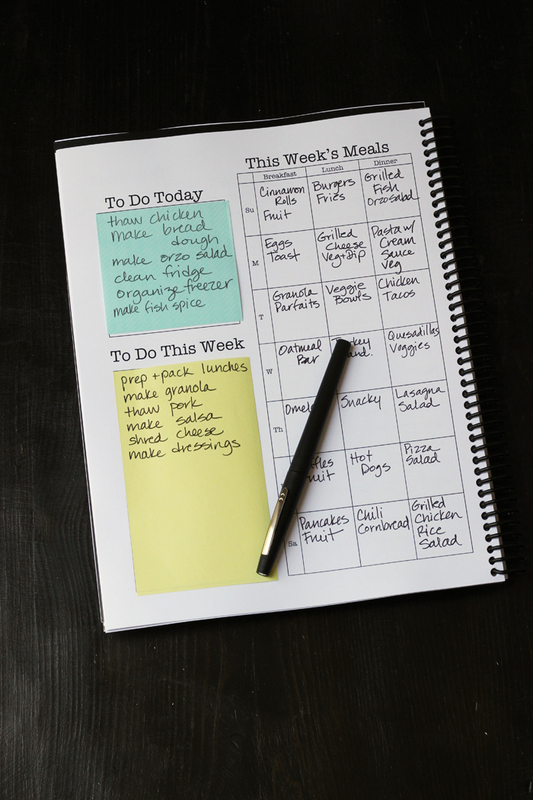 Over four weeks, I’ll help you get organized so you can make freezer meals a regular part of your kitchen strategy. Through a printable workbook, five learning modules, five 30-minute coaching calls, and a private chat group to share ideas, ask questions, and get personalized help, you’ll up your freezer cooking game so you can save money, time, and a few brain cells. What if you forget to thaw your freezer meals? Well, it happens. In fact, I’m the Queen of Forget to Thaw. It’s such a bummer when dinnertime rolls around and I don’t have a quick fix, but I have a freezer full of food. One solution to the dilemma is to stock up on some freezer meals that don’t need a complete defrost before reheating. 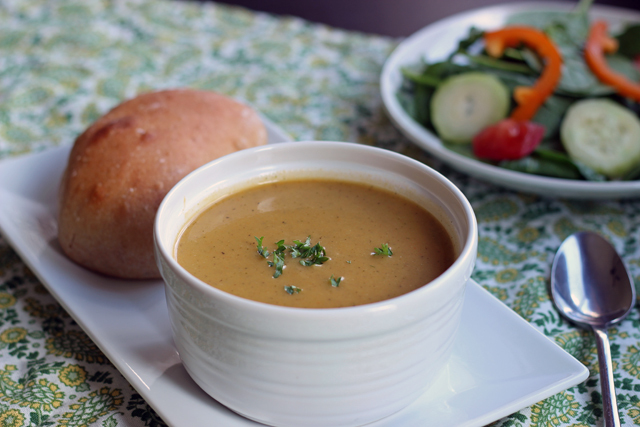 Homemade blended soups like this Velvety Vegetable Soup can be a delicious and economical way to get enough vegetables in your diet or to use up leftover vegetables. You can also freeze in individual-sized portions so it’s easier to reheat just what you need. 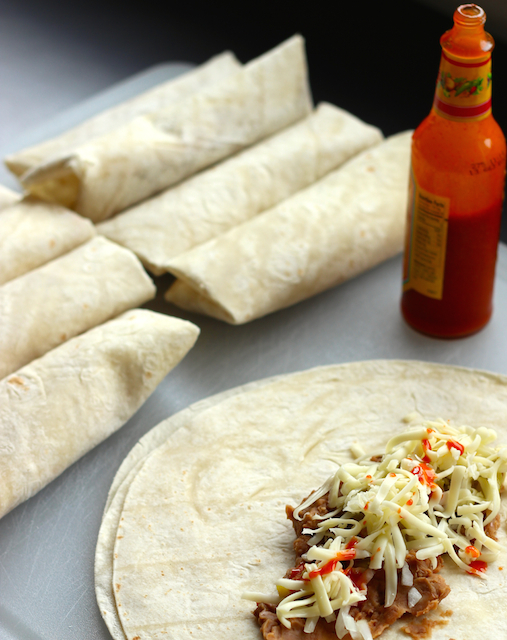 Burritos are one of the easiest, quickest meals to pull together with little work or planning. All the ingredients can be kept on hand in the pantry, fridge, or freezer. These Green Chile Burritos freeze well and reheat easily. To reheat, we use the microwave, the griddle, or the oven. Nuke each frozen burrito for a minute or two until hot. Then you can crisp them up in the griddle or oven. 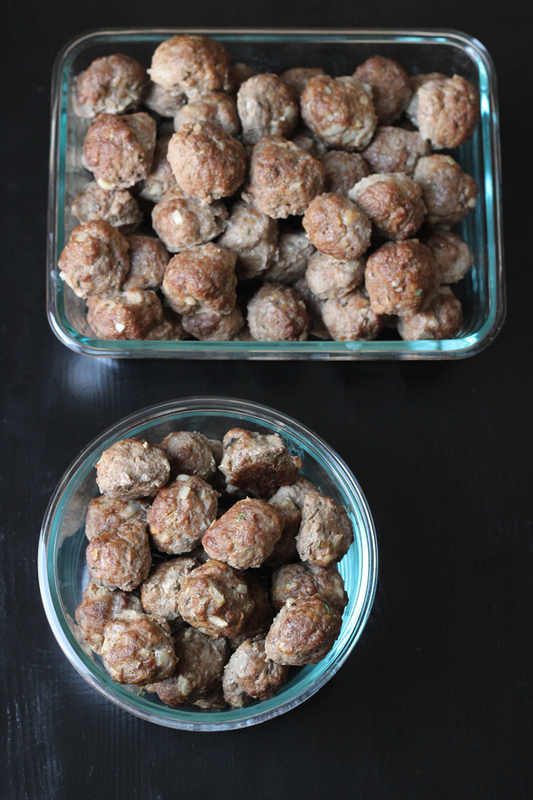 No need to thaw frozen meatballs! Just toss them in a pot with the sauce or gravy of your choice and turn up the heat. They'll reheat in about 15 to 20 minutes, just enough time to boil pasta and make a fresh vegetable. 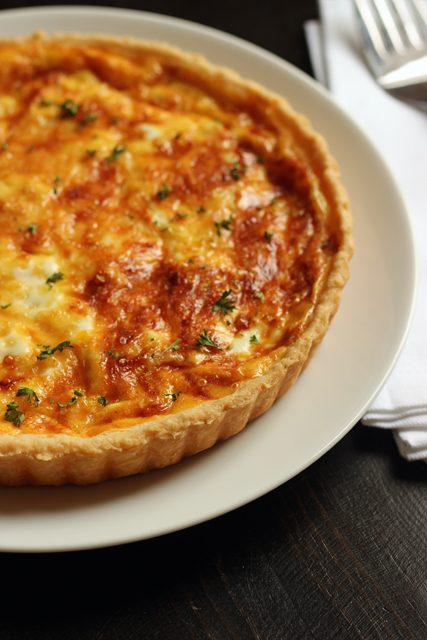 Quiche is good food. This quiche, rich with ham, Gruyere Cheese, and Leeks will make any breakfast, lunch, or dinner shine. best yet, it's actually better not to thaw it before you bake it. 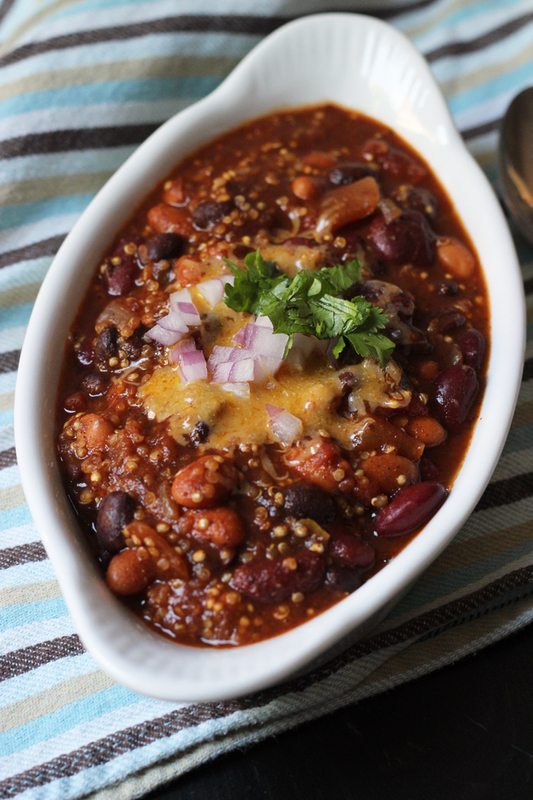 Chili makes for a hearty meal all year long. It freezes and reheats beautifully, so never fear making extra. Just reheat in the stove or microwave -- straight from the freezer! What’s your favorite freezer meal that you don’t have to thaw? I like freezing bags of pasta, veggies and sauce for a skillet meal. You can freeze the sauce separately in little zip bags so you don’t initially have a huge block of frozen food sitting awkwardly in your skillet. If you have ever bought those bagged dinners in the store, then you know that dinner is on the table in 15 minutes! HA! This morning I went through your freezer cookbook to indentify some go-to recipes for the busy spring season ahead. Kind of like making my own freezer plan. One of the 9 meals I picked was the meatball recipie. I didn’t know you could freeze mashed potatos. But then I realized the secret ingredient must be the substitution of cream cheese for milk. How does it taste? It’s super yummy with cream cheese. That’s my go-to way to prep potatoes when we don’t have to worry about making it dairy-free. I try to go dairy free whenever possible, (except butter), how do the mashed potatoes taste with a non-dairy milk. My go-to when making mashed potatoes in real time is almond milk and they are yummy…. thanks in advance. I have not made them with non-dairy milk, so I really can’t tell you. I would try freezing a small portion next time you make them and see how you like it after reheating. Let us know how it goes! My favorites are crock pot freezer meals! Yes, you have to think about it in the morning, but not days ahead like a casserole would. Due to safety and food texture issues, those aren’t my favorites. But, I’m working on some that eliminate those. What are your favorites? I’ve made it twice but immediately baked it instead of freezing; I now have one in my freezer that I plan to use for company. The directions don’t call for it to be thawed first, but now I’m wondering if I should. Do you think the use of no-boil noodles and perhaps fresh spinach would affect it negatively if you thawed it first? I’m not really sure. I’ve heard good things about her recipes, but I’ve never tried them myself. 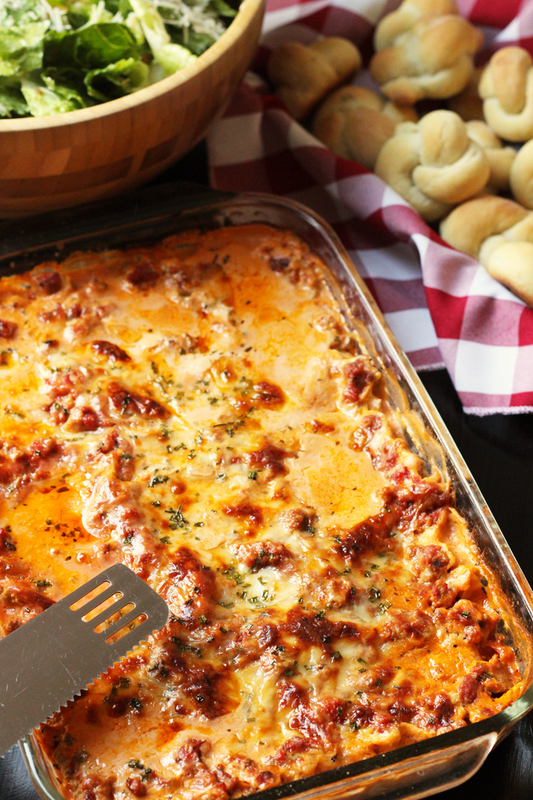 Her directions say to bake it for 2 hours from frozen, which is pretty much what you can expect from a frozen lasagna. Thawed will have a shorter cooking time. I imagine it will be fine since she’s allowing for that longer cooking time.